For an experienced, fully qualified electrician Western Sydney team with highly competitive quotes, Staywired Electrical is the contractor of choice for businesses and homeowners across Sydney. From simple repairs to intricate rewiring jobs, security systems, installation of household appliances, exterior lighting, air-conditioning, stove repair, under-floor heating and any other electrical work you need done, simply call us on 02 9469 0216 and speak to our friendly team. 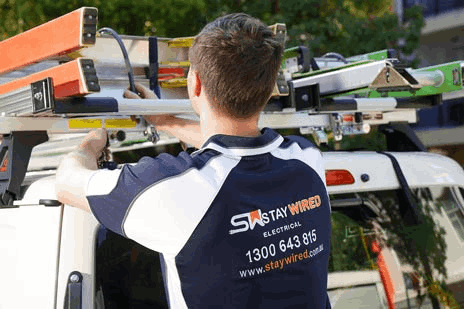 Staywired has for many years specialised in fixing electrical faults in Western Sydney, and has established a reputation as one of the best New South Wales electrical firms because of it. With thousands of satisfied homeowners, shopkeepers and business owners behind us, we are expertly equipped to handle everything from emergency electrical call-outs to periodic system checks, and everything in-between. From major electrical system overhauls to minor electrical repair work, Staywired have the knowledge and the knowhow to do the job right. 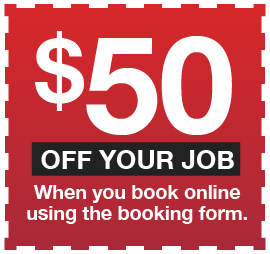 And, being local to Western Sydney, we’re able to get to your home or business, fast. The saying goes that ‘All roads lead to Rome’, but for Sydney siders seeking to spread their wings and have more space and a much better standard of living for their money, all roads actually lead to Western Sydney. Whether you get there via Parramatta Road, the M4 or the M2, the sprawling suburbs to Sydney’s West are the place to be. Built as they are on land known as the Cumberland Plain, which was first farmed by Australia’s original European settlers way back in the 18th century, Western Sydney now has hundreds of thousands of homes and businesses, many of whom will suffer electrical failures or need new interior and exterior electrical work doing from time to time. Both home owners and business owners in Western Sydney frequently choose Staywired, confident in our ability to deliver a fast, professional and friendly electrical service that’s local to where they live. When it comes to electricity you need to know you are in safe hands. In sourcing an electrical contractor in Western Sydney it is vital that you seek proof that those working on your property are fully licensed, qualified and insured. With Staywired Electrical you get total peace of mind because you can rest assured that all our electricians have been given appropriate electrical industry training, as well as bringing with them many years’ worth of on the job experience. You need an emergency electrician in Western Sydney therefore you should call Staywired Electrical on 02 9649 0216. We’re available 24 hours a day, 7 days a week, 365 days a year. No job is too big, no job is too small. After all, electrical problems always seem to come at the most inconvenient times (late at night, or on weekends or public holidays), so why not put our number in your phone and have us on speed dial? We always have someone on call in the Western suburbs and can be there to fix your problem in no time at all. As technology advances it is necessary for electrical repair companies to ensure that their team keeps up with all forms of modern technology. To that end Staywired Electrical staff are sent on regular refresher courses and encouraged to gain higher qualifications in areas like IT data wiring and telecommunications. So if you run a business in Western Sydney and need a local electrician with a broad and thorough knowledge base, Staywired should be the first number you call.